Google Chrome is touted as the fastest browser in the world. It comes with lot of applications for free for the webmasters as well as normal users. It has already outshined other popular browsers like Mozilla Firefox and Internet Explorer. 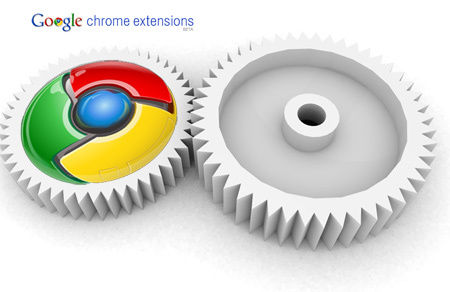 Google Chrome extensions are just like add-on in Firefox. Social Media has become a part and parcel of our life. It has got everything with a drop down menu that contains all the options. One really does not need other over-hyped application as this one has got everything. Icing on the cake is URL shortener “bit.ly link” is automatically generated. This chrome application is used for editing the images. It comes with several features. Say goodbye to photoshop and get your hands on this tool. It does not require any registration and is installed in few minutes. There is no toolbar for Chrome. So this extension is used to check the page rank of the website. This game is the most popular one and enjoyed by everyone. So install this game for recreation. Flash ads and various flash animations can be annoying and distracting at times and moreover they slow down the performance and eat up the system resources. All the flash content can be disables and it is replaces with a placeholder.Th e flash content can be unblocked by clicking on the placeholder. This is one of the best and useful chrome extensions. Many a times we are occupied with something else and miss some useful and important content. We often tend to procrastinate only to read it later. So, we usually end up forgetting the link and it slips off the mind. This useful application introduced by chrome comes handy and with “Read Later” option content can be viewed later. This is an amazing and clever application. This nifty extension digs up your twitter details and Google Reader information. You will see RSS feeds from your Google reader and many recommended links from Amazon. This is like your personal magazine homepage. This is great application for saving your experiences, anecdotes, inspirations and ideas. It can be accessed from anywhere at anytime. It also comes with a twitter integration. One can take notes and read them on the move. Now Google Chrome also has a webpage screenshot extension to get the screenshots of the web pages in PNG format. This is a very handy tool for developers and designers. Another screenshot application is Awesome Screenshot. Empty New Tab page is a simple extension used to replace Chrome’s new tab page with a blank page.